"Teaching An Old Dog New Tricks"
A red-haired, tongue-twisting entertainer invited his audience of children, and adults alike, in an all-out, knee slapping half hour of comedy fixed with musical acts. Danny Kaye, born David Daniel Kaminski and a one of the first owners of Seattle's baseball club, the Mariners, splashed onto the scene in 1940 when he appeared in the Broadway smash "Lady in the Dark," which boosted his career. Danny's career musical career was so demanding that he had to play in a musical, "Two by Two," with a broken leg that he suffered a day before, since he did not use understudies. Nineteen-forty must have been a very interesting year for Danny for that was the year that he met, and married, Sylvia Fine,who then took immediate charge of Danny's career. You could say that Sylvia defined Danny, who he himself so eloquently put it "[Sylvia] has a fine head on my shoulders." Danny built such a following in the 1940s that even Samuel Goldwyn, famous producer and partial owner of the movie studio Metro-Goldwyn-Mayer, jumped on Danny's "train." Goldwyn was so smitten with Danny that he tried and tried tirelessly for two straight years to sign Danny to contract that stipulated that he strictly do Technicolor musicals, which started with "Up in Arms." The contract also specified that Danny be paid a whopping $150,000 per film! This led to a string of musicals, one being the famous partnership with Bing Crosby in "White Christmas" in 1954; Danny served as a last minute replacement for "Singing in the Rain" star Donald O'Conner. Toward the latter end of his career and life, Danny made a memorable appearance as a zany dentist on the "Cosby Show." One of his most famous personal quotes goes, "Life is a great big canvas; throw all the paint you can at it." 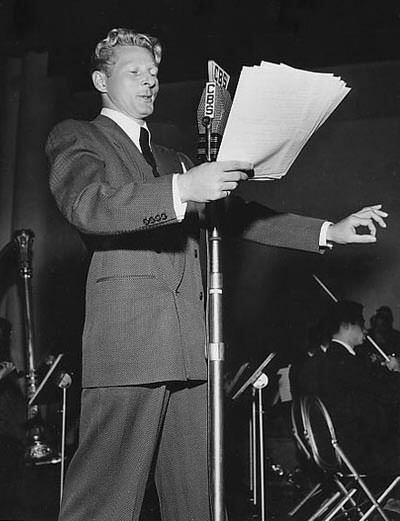 These recordings are part of the larger Danny Kaye Collection. 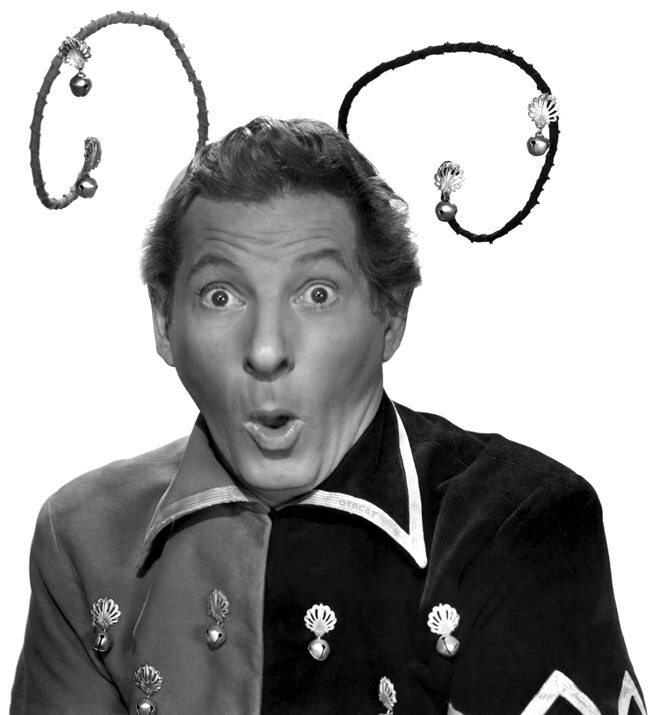 Be the first to comment on "Danny Kaye Show"